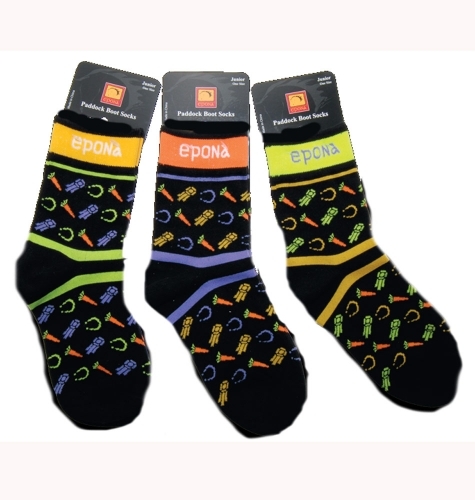 EPONA Equestrian Adult Happy Go Lucky Boot Socks, The snazzy carrots, ribbons and horseshoes help keep your eye on the prize and your spirits high, whatever your ride holds in store. Designed for long-lasting wear, the medium weight and cool fabric are so comfy your toes will curl in delight. In three assorted colors.